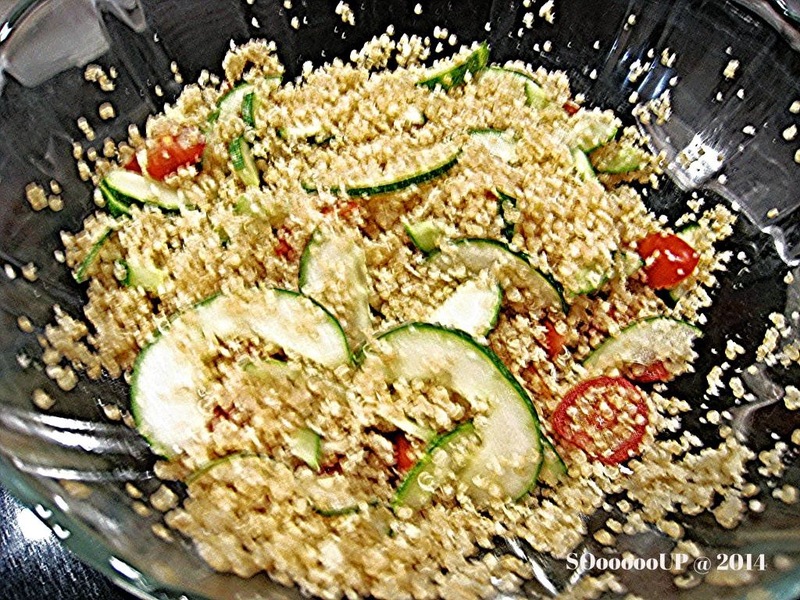 To eat healthily we occasionally replace rice with couscous. 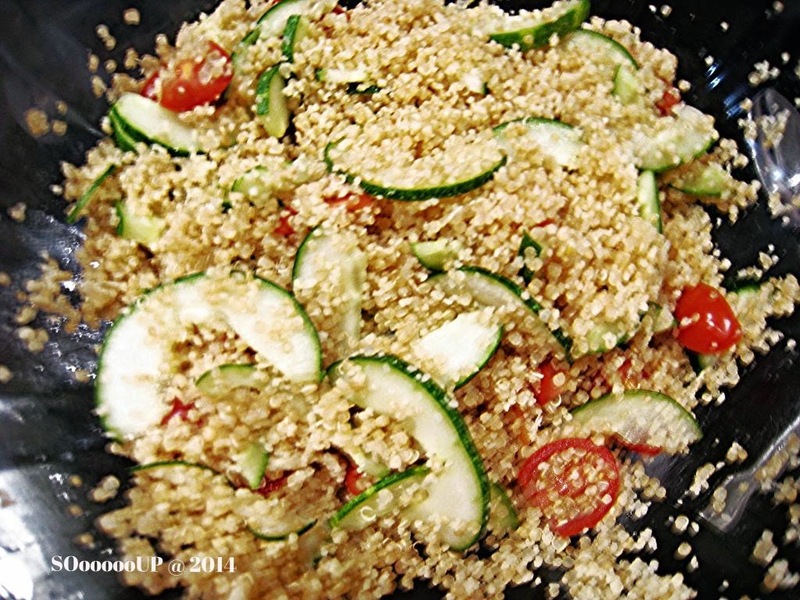 Couscous are healthy whole grains and is good for the body and helps with weight loss. Couscous gives a feeling of fullness, thus curbing hunger. It is a specific cultural dish mainly found in Africa, the Middle East and the Mediterranean areas. Steam couscous till fluffy. When cold add in whatever food or vegetables you fancy and it makes a healthy and balance meal. For this meal I added in zucchini, cucumber, sun dried tomatoes and flaky salmon.